It was absolutely fantastic to see so many people turn up for the first OUO of 2015! I had missed you all over the Christmas break. Tell you what though – it was brilliant to get stuck into some new songs (as much as I love Christmas – I am happy to be doing some non-festive songs!). I always get nervous when we start a new term…will people like the new songs? will people come back??! 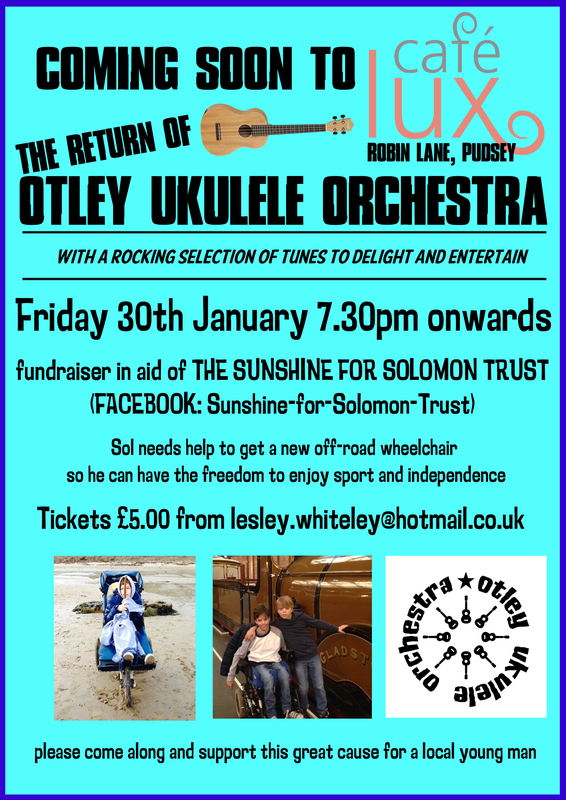 Our first this year is a fundraiser for an incredible young man called Sol. 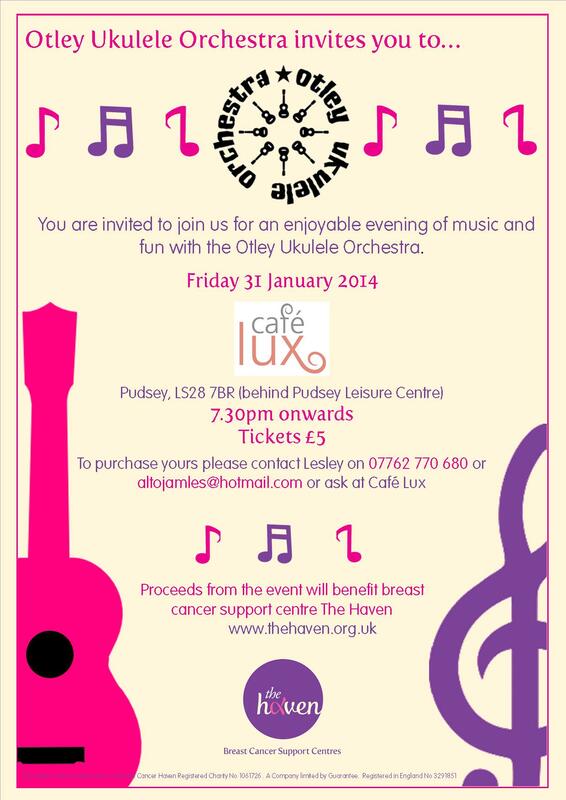 If you’d like to come please get in touch – tickets £5! Hope he likes Blondie too!! This past weekend was another one fun-filled with Ukulele action! Friday night was Julie and Gary’s party up in Menston. We had a great time playing for all their family and friends and enjoyed all the lovely food! Julie and Gary are a lovely couple and were very generous donating money to the OUO and also giving us all a bottle of wine! 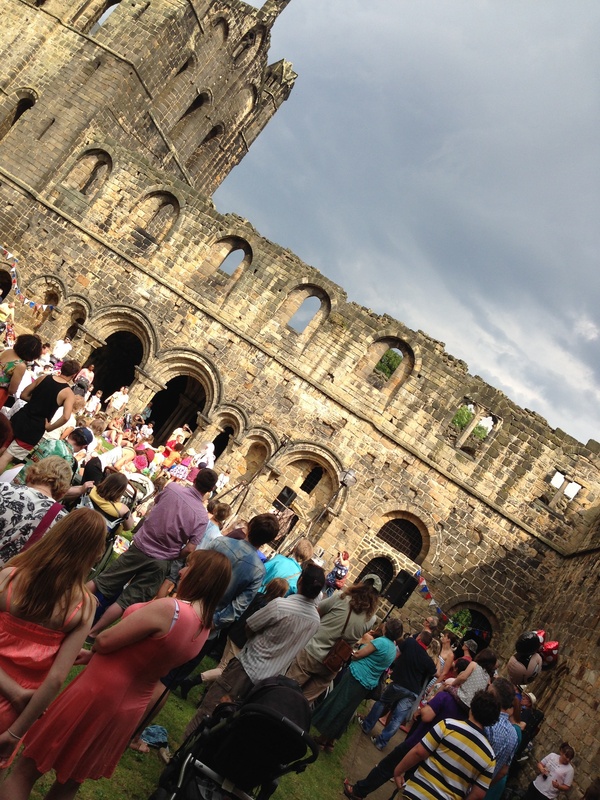 Saturday was Kirkstall Festival which, once again, was glorious weather and a wonderful atmosphere. We loved entertaining the crowds gathered in the CLoisters. Such a lovely place to play. I wish I had some photos of us playing! Then we all headed off to The Bridge for an impromptu sing-a-long in the car park beer garden! We made some new friends and entertained the drinkers for a while before we caught the bus home. What a great weekend! So in the session on Monday we started looking at these new songs! 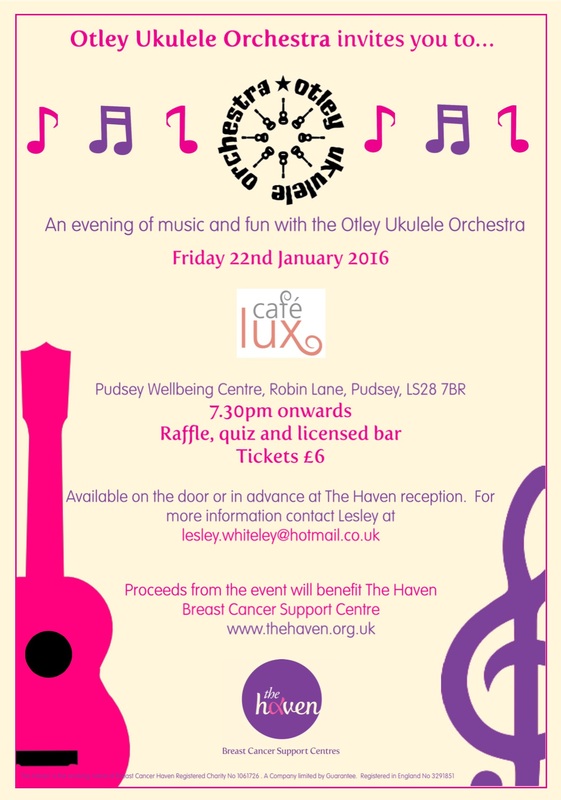 THURSDAY 24th July is Summer Social with Otley A Cappella. Bring things to sit on, things to drink and games to play to Wharfemeadows Park (past skate park) for 7:30pm. We’ll play rounders! If weather terrible there will be a plan b – but check Facebook!